Great detailed foldout dated October 1957. 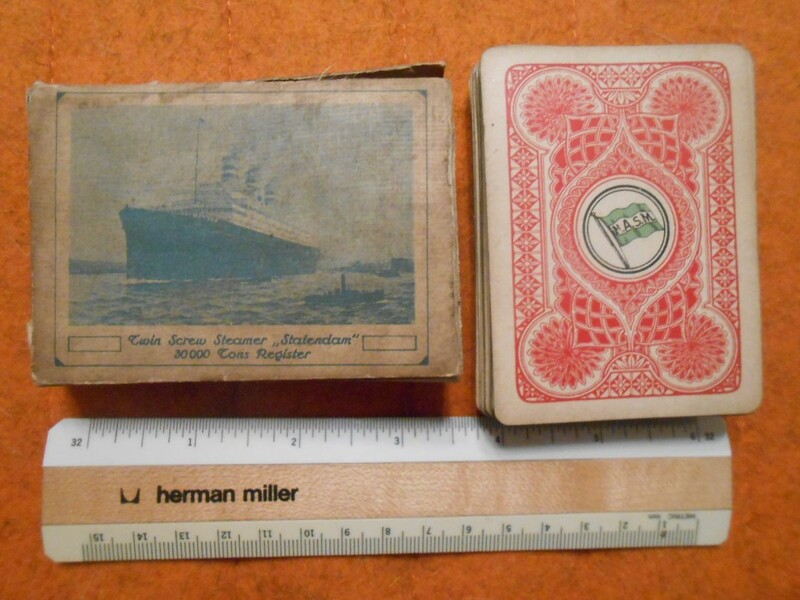 Includes pictures and covers the New Statendam! Excellent condition… Souix Falls, SD agency stamp. 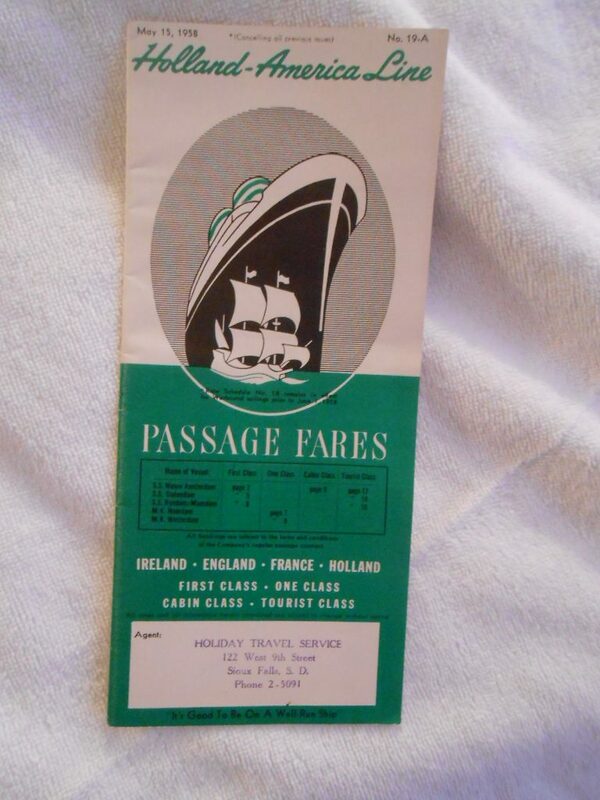 Great details booklet for HAL fares dated in Mat 1958. Includes pictures and covers the New Statendam! Excellent condition… Souix Falls, SD agency stamp. 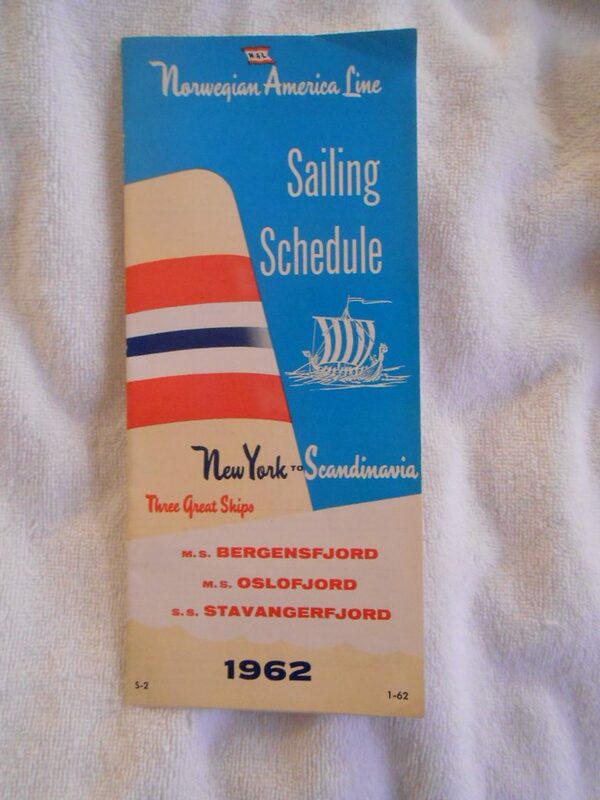 Excellent sailing schedule for the 1962 season aboard NAL’s 3 ships: The Bergenfjord , Oslofjord and the lovely old Stavangerfjord. Beautiful! 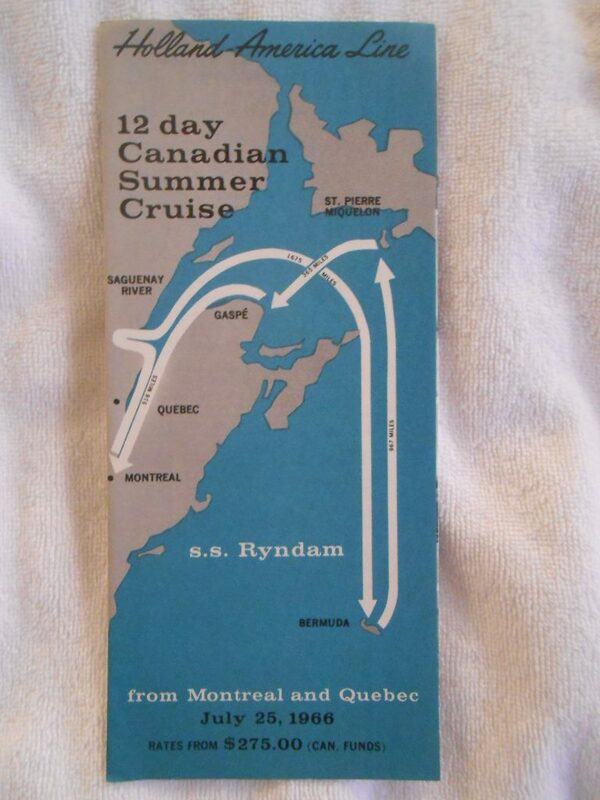 Nice little flyer textured stock flyer for the Ryndams July 25th 1966 Canadian Summer Cruise. Several stops … in Canadian waters … as well as one in Bermuda! Some BW pictures and little mod graphics. 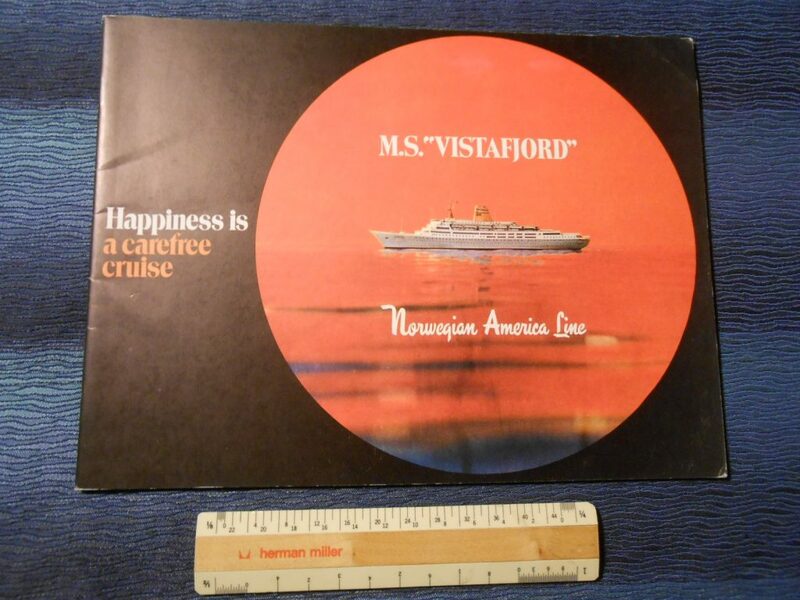 The Vistajord was the last true NAL passenger ship and this Great cruise brochure in excellent shape … Covers interiors with photo and drawings. Excellent folder covering the interiors of HAL’s last Atlantic flagship. Super cool photos. It was good to be on a well run ship! 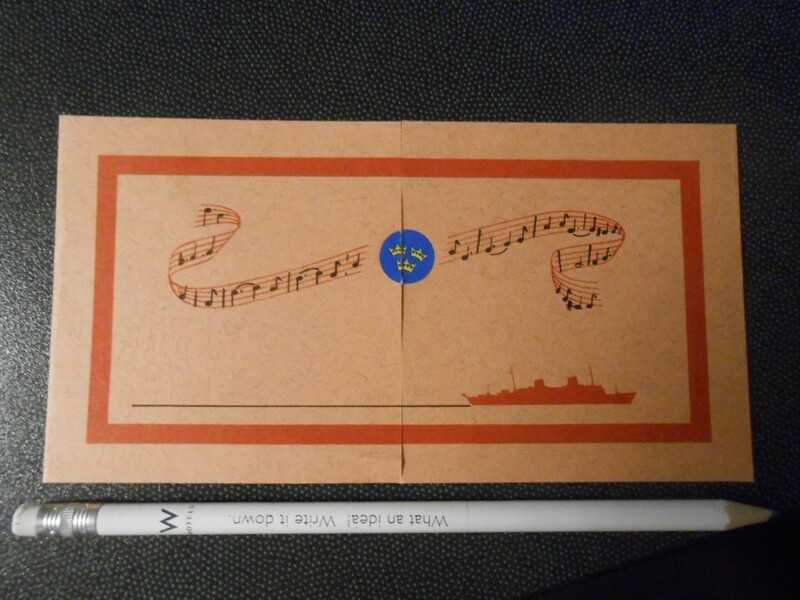 SAL: Gripsholm Song/ Poem Card. Catchy little ditty written for the Gripsholm. Printed on speckled paper and once sealed with the SAL 3 Crown logo. Great little souvenir item for the Lovely Rotterdam. 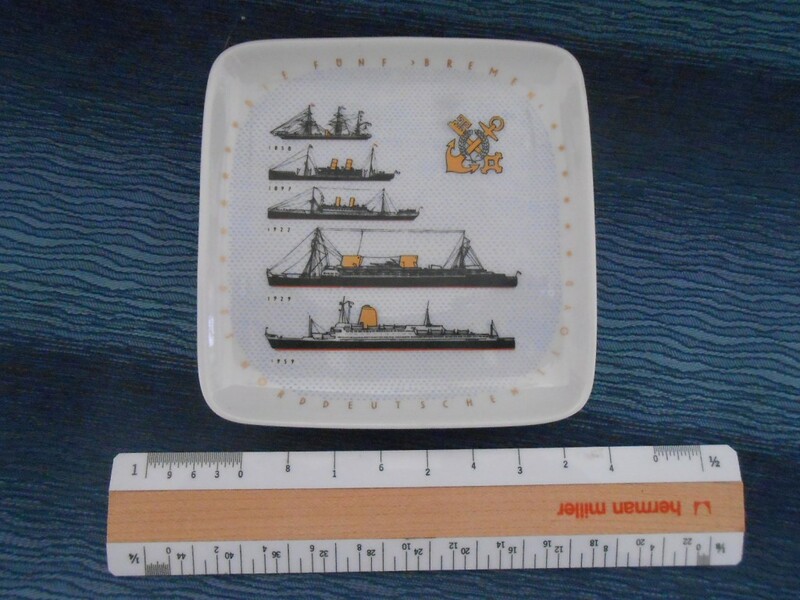 A few marks for use .. but a neat item for an outstanding ship that is still with us! I’m sure some little girl thought she was the bees knees when she was given this doll .. 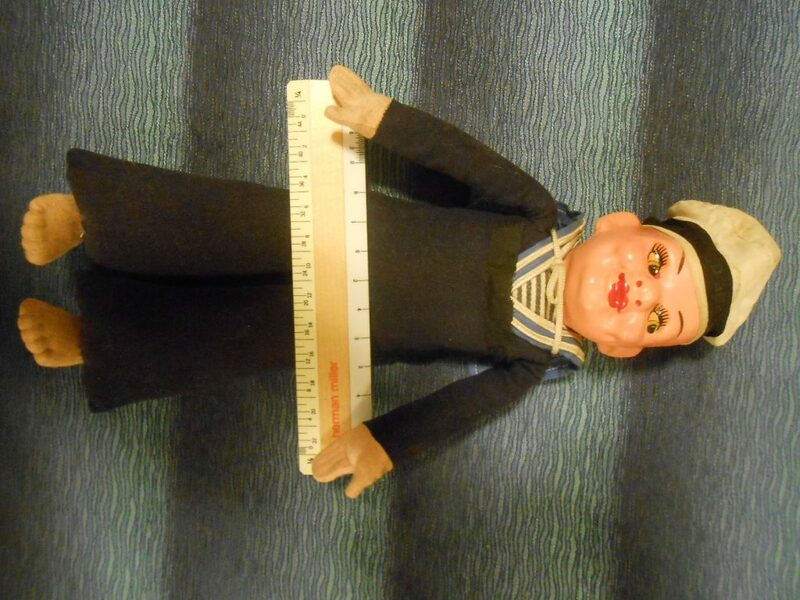 I personally find these common ship souvenirs quite creepy. This one is in good shape with a few bumps and pings. 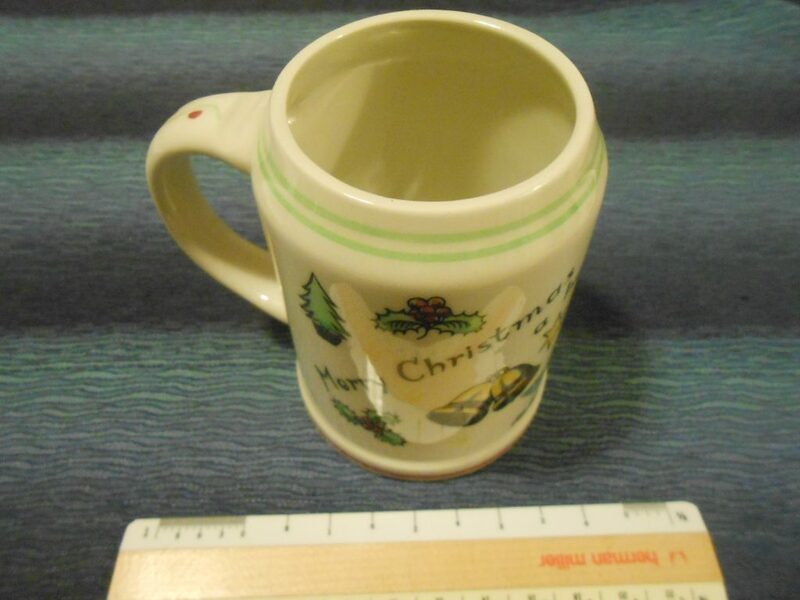 Holland America Line: Holiday Coffee Mug. Lovely holiday Christmas/ NY mug from the late 60’s early 70’s/ Most likely from the Nieuw Amsterdam, Rotterdam or the Statendam. Lovely condition and colors … festive! 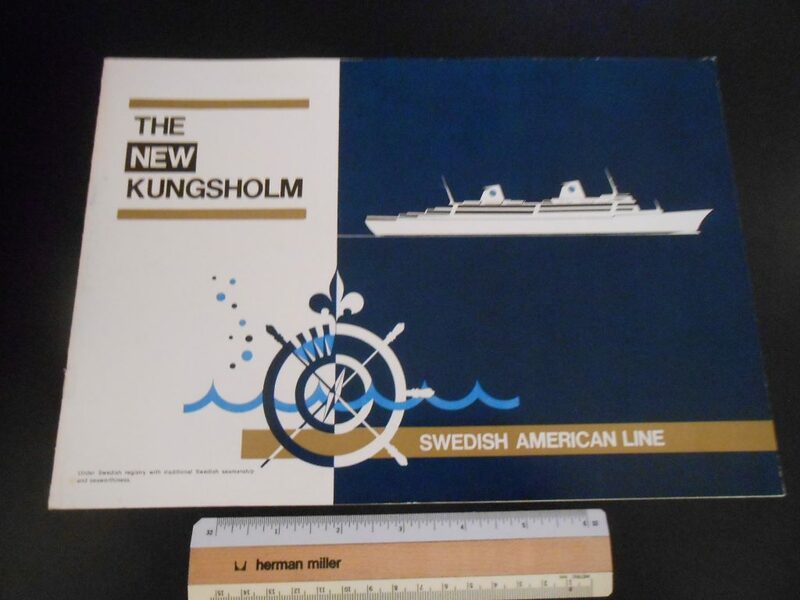 Outstanding intro brochure for SAL’s last flagship the Beautiful Kungsholm. The brochure is full of colorful interior renderings, deck plans and intro info about this lovely lady. She was so special … and still barely survives . The brochure is in excellent condition. 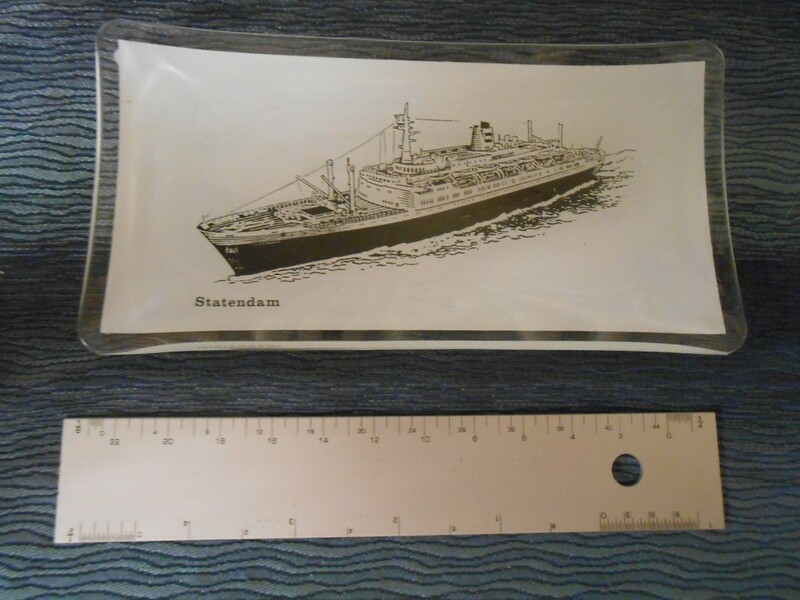 HAL: SS Statendam paper model. 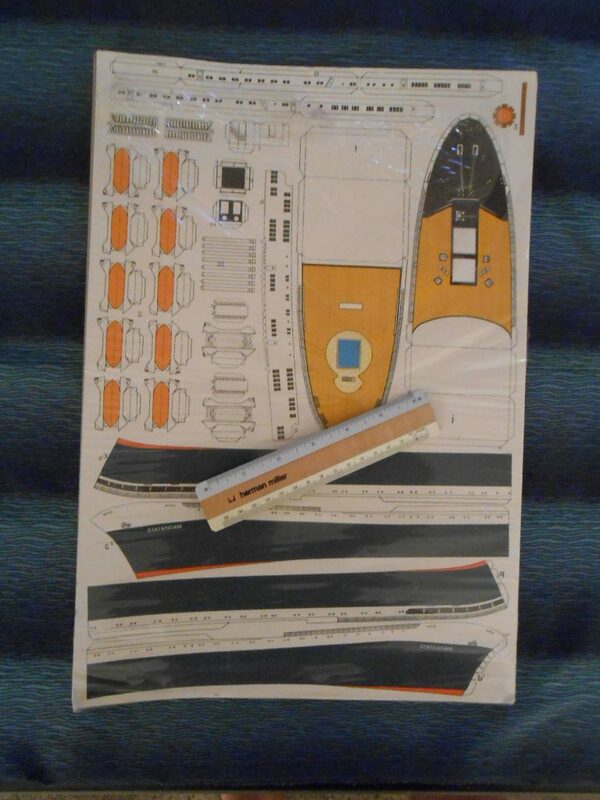 Great paper model for one of my favorite HAL ships … The 1957 Statendam. She was queen of the spotless fleet for about 2 years … before the Lovely Rotterdam came on the scene. 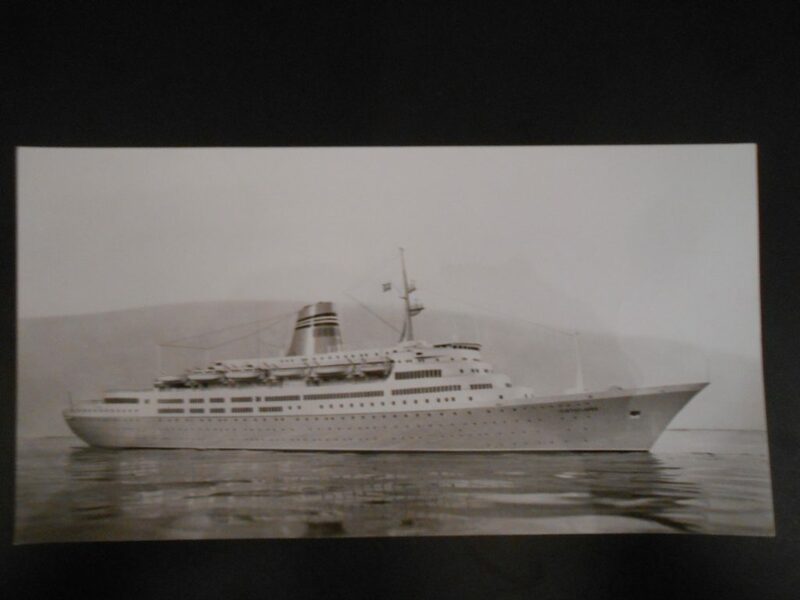 This model would be for her livery in the 70’s after her “princess” refit for cruise service. Great shape! 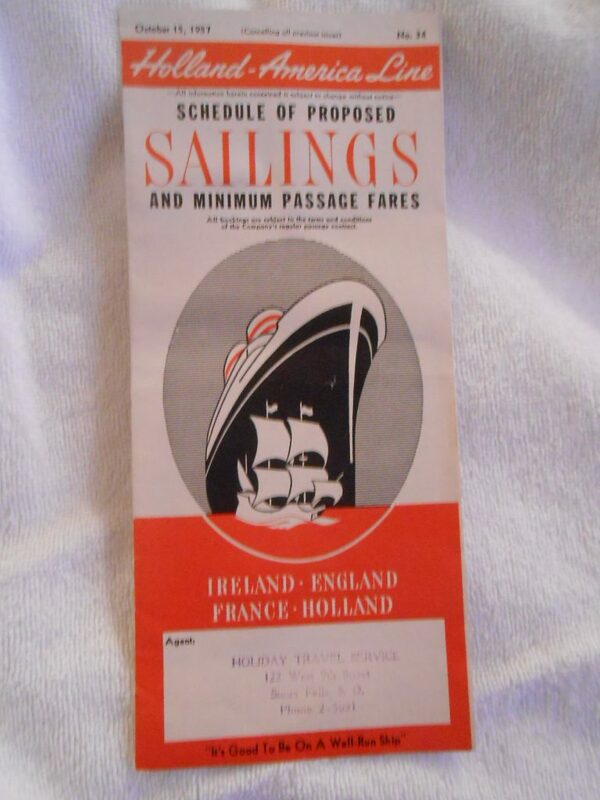 The image is dated 1928… the ship was used for cruise service and made other voyages for Hapag. She was lost in WW2. NAL: SS Oslofjord En Schip En Werf Builders Magazine. 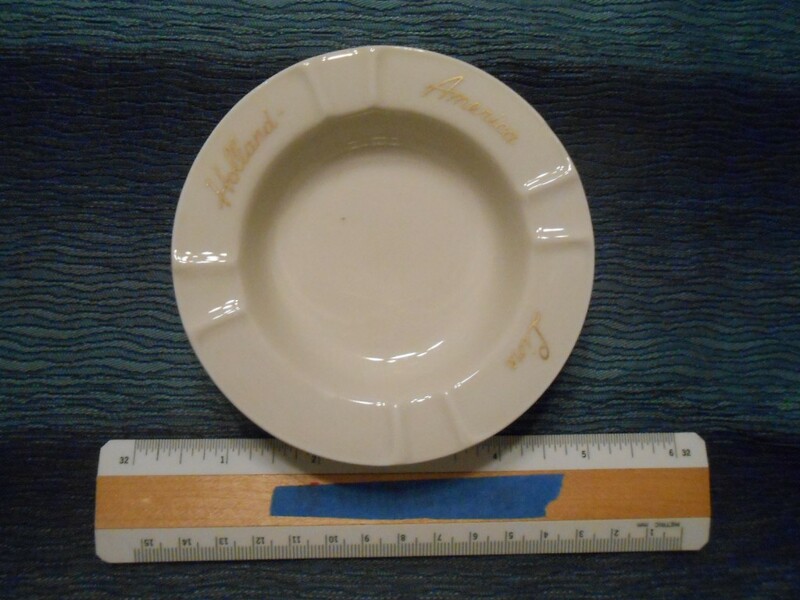 Just an outstanding item for the lovely yacht like Oslofjord. She is certainly my favorite NAL vessel … her design and lines were just outstanding. All the information you could want is inside … 60 pages of Plans, Machinery info, building pictures, interior picture and info … the list goes on and on…Lovely period ads dedicated to the ship as well cover another 40 pages or so! You will not be disappointed. The is a little wear to the cover including a 1″ tear. 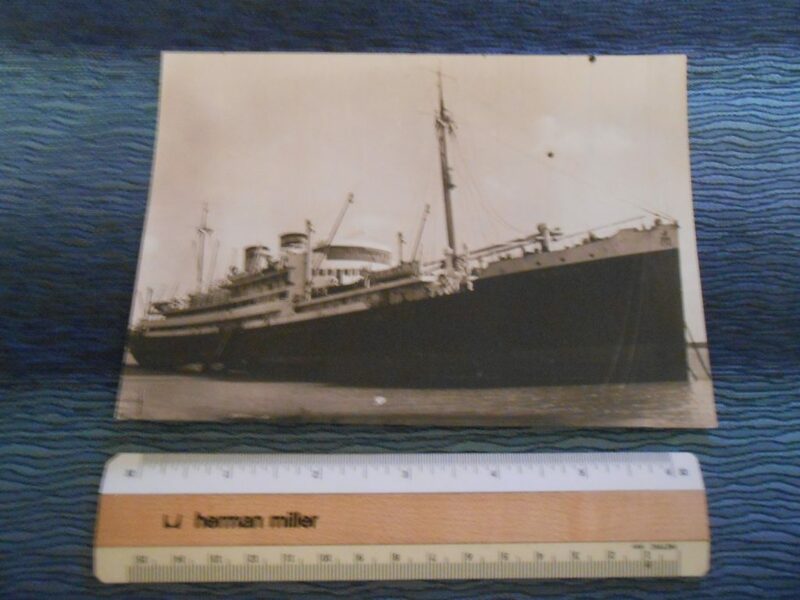 Early model photo of the ship … probably taken for an early brochure. She was the last NAL lady … and was just recently retired. Very nicely done and in great condition. Contains a Nice little 4 line ditty about the lovely Gripsholm. I can imagine this being handed out in the lounge right before sing a long festivities. 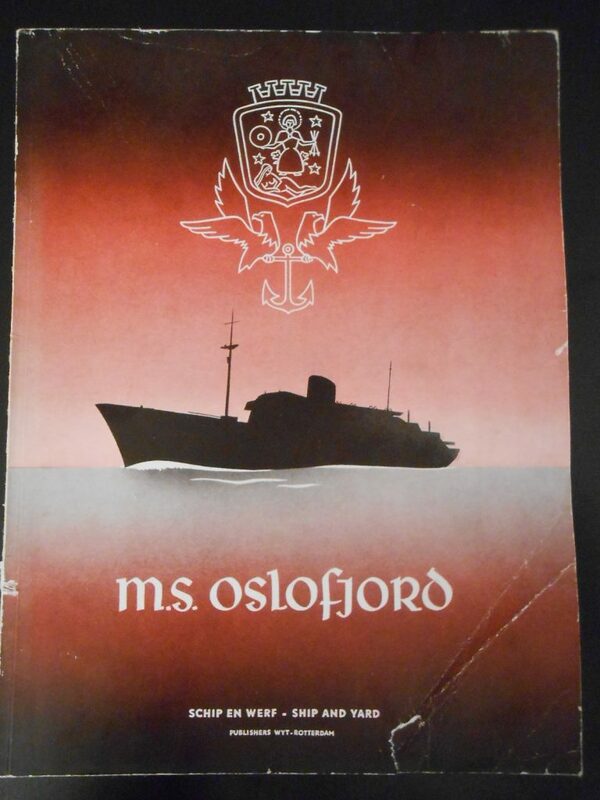 Lovely ship profile … and 3 crown seal on the cover. Printed on orange-ish fiber paper .. well done little amenity. One of the most spectacular pin dishes ever! Love the progression of Bremen profiles … from the sailing/ screw steamer of 1858 to the 1959 Converted Pasteur and last flagship. The golden smokestack accents are icing on the cake. Pristine Condition. 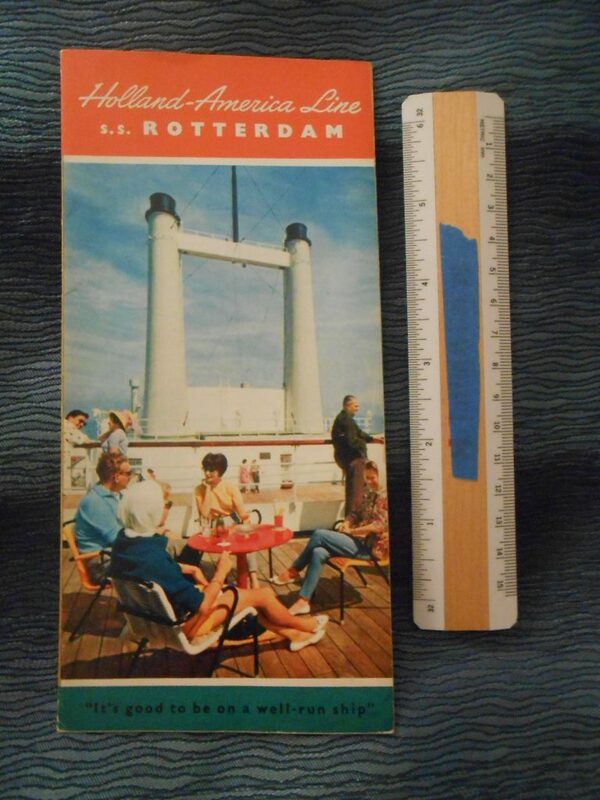 A very nice set of deck plans … First class and Tourist from 1966, a colored cruise deck plan from 1969 and an facts booklet for the Lovely 1959 Flagship Rotterdam. Lots of great information and excellent visuals are found here. All in excellent condition. I didn’t have a HUGE appreciation for this ship … until I was had the chance to see color images of her interiors in Buddy PK’s Photo collection and I have been hooked ever since! I also had a once in a life time opportunity to visit her in the fall of 2014 and I can report she is truly stunning. 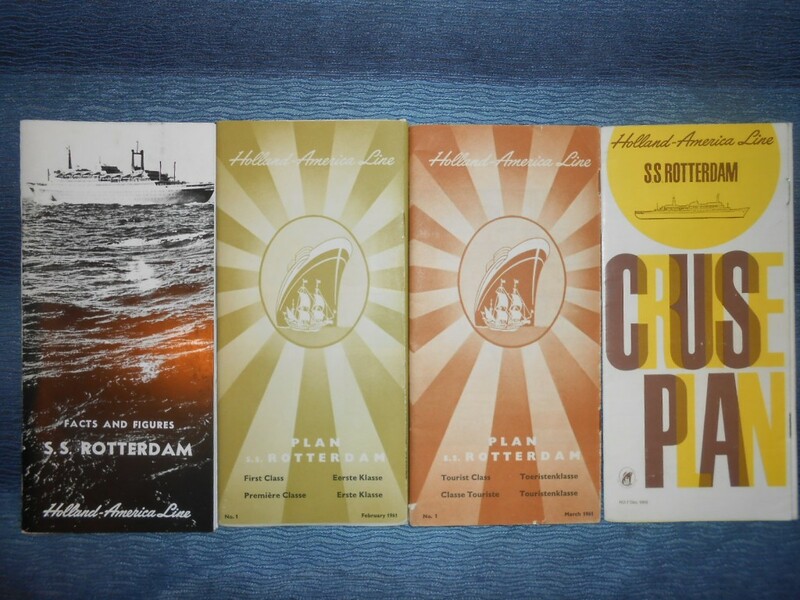 HAL/ Holland America Line: Rotterdam 3 Deck plan and Facts booklet grouping. 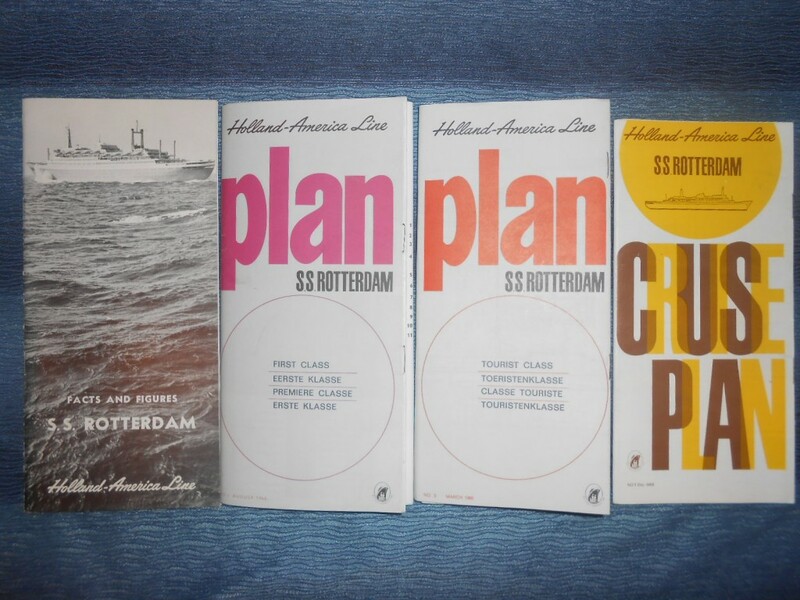 A very nice set of deck plans … First class and Tourist from 1961, a colored cruise deck plan from 1969 and an facts booklet for the Lovely 1959 Flagship Rotterdam. Lots of great information and excellent visuals are found here. All in excellent condition. I didn’t have a HUGE appreciation for this ship … until I was had the chance to see color images of her interiors in Buddy PK’s Photo collection and I have been hooked ever since! I also had a once in a life time opportunity to visit her in the fall of 2014 and I can report she is truly stunning. HAL: Older HAL golden script ashtray. Lovely ashtray .. probably swiped in the 60’s. Great condition! 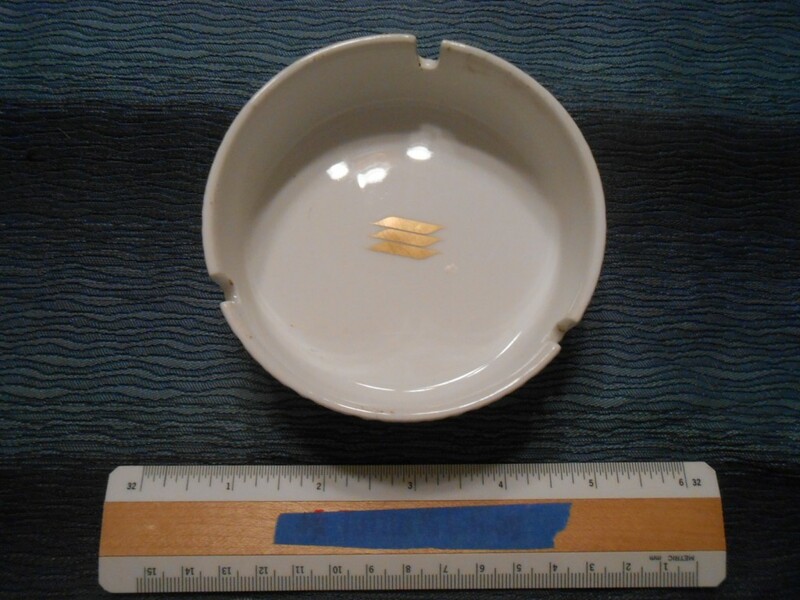 HAL: Gold 70/8-‘s logo Ashtray. 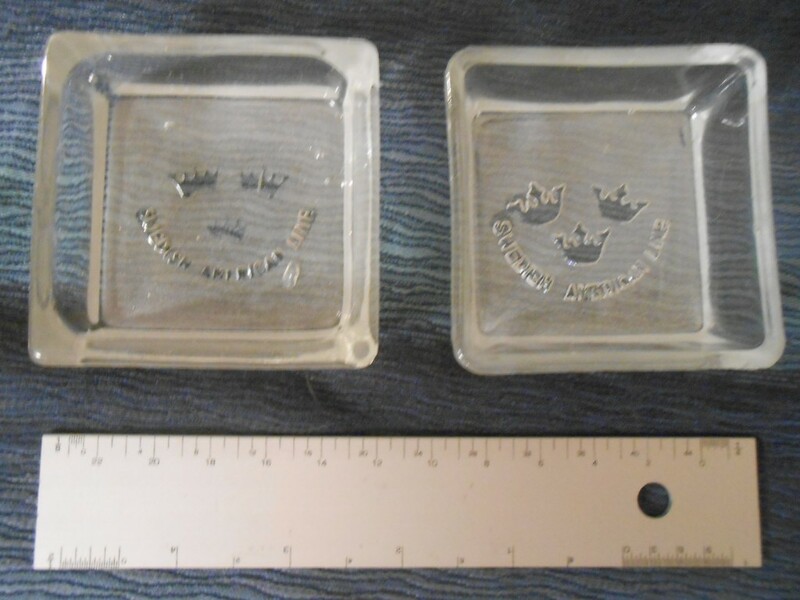 Great ashtray … these could have been swiped by the thousands from the Volendam/ Veendam/ Statendam or others all throughout the 70’s and 80’s. 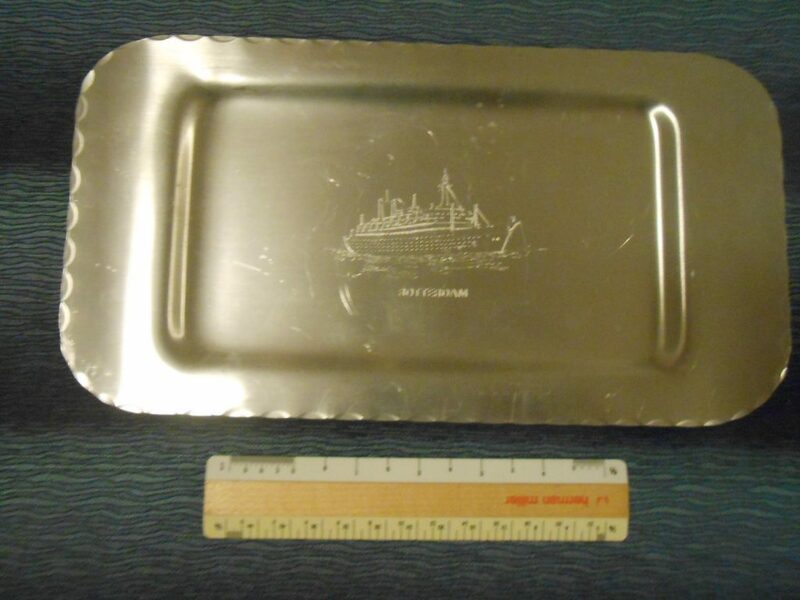 Lovely pin tray for the Statendam … with the change in funnel graphics , tis dates from after her “Cinderella” refit of the early 1970s’ when she switched to full time cruising. Lovely image of one of my favorite liners. Excellent condition. 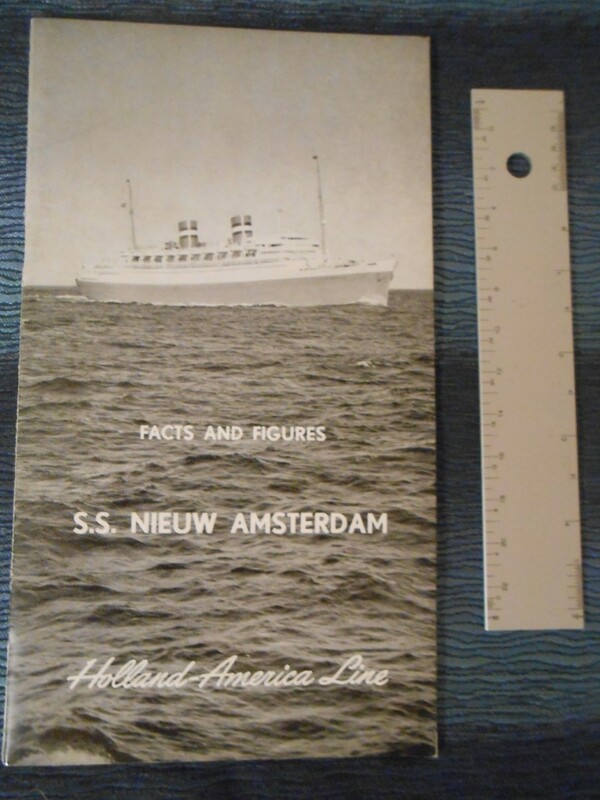 HAL: SS Nieuw Amsterdam Facts and Figures booklet. Really cool booklet all about the darling of the Dutch. 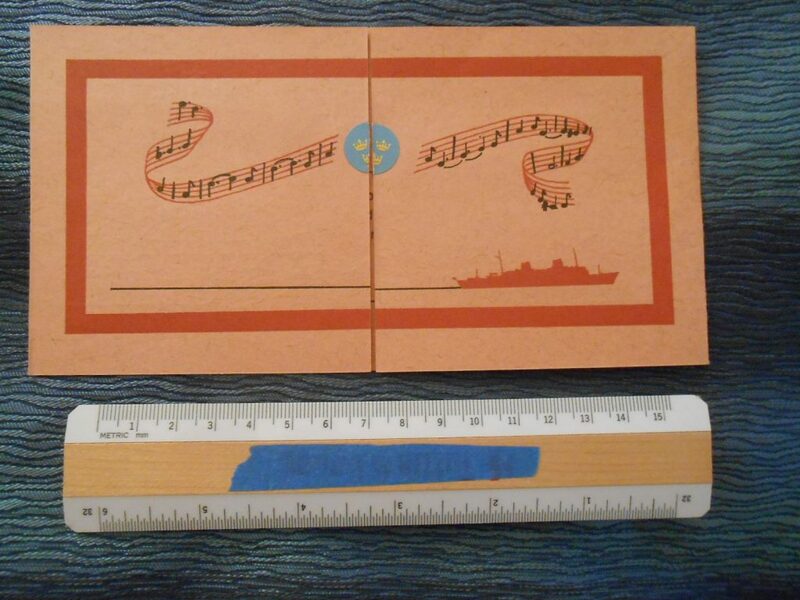 the booklet contains all sorts of historic info about the ship as well as nautical terms etc. Very Informative with lovely Profile of the ship in b/w on the cover.